Thinking of building your portfolio? 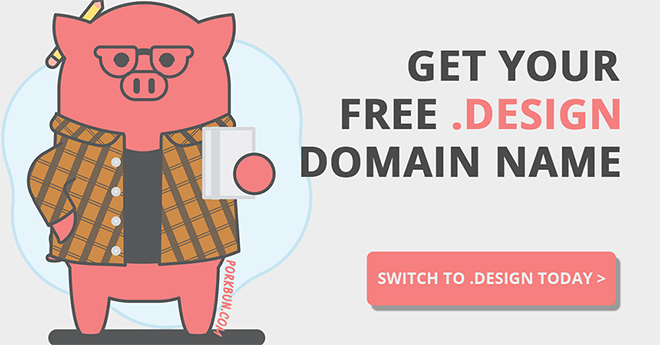 Grab a .design domain name for your website and email address and get the first year free with this special offer from Porkbun. A .design domain name is just like .com and .net but it is much more relevant to what you do as a designer, making it ideal for building a memorable brand and showcasing your work. The .design domain name is fairly new, so there are still plenty of short .design names available. 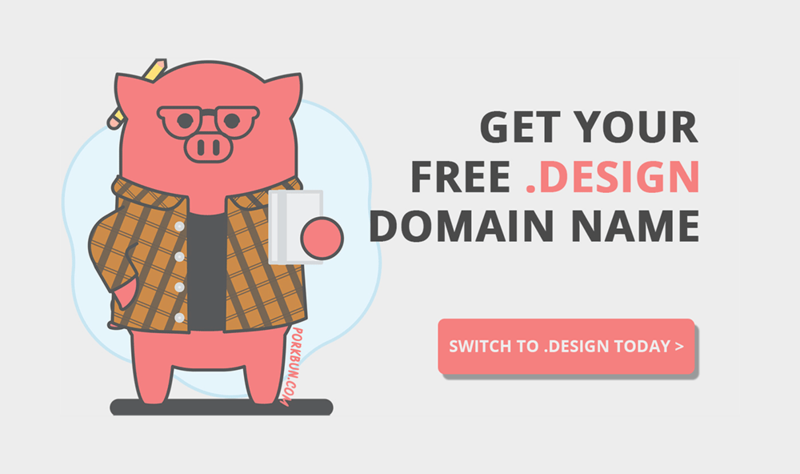 Claim your own .design domain name, before it’s gone! If your business already contains the world ‘Design’, this offer also provides a great opportunity to shorten your existing branding (ie: johnsmithdesign.com to johnsmith.design), providing a concise and catchy URL and unique email address. I have teamed up with Porkbun to offer all Spoon Graphics readers a free .design domain name. The first year is free, and yearly renewals will be less than $35 / year, instead of the $70 offered at some registrars. Keep your private information hidden from prying eyes with WHOIS privacy.